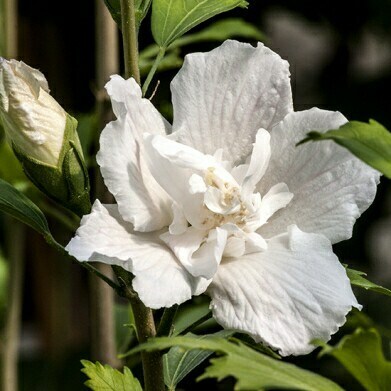 Ice white, semi double blooms stand out beautifully against the lobed, bright green foliage. Columnar habit that makes this useful for smaller gardens, narrow borders or patio containers. Full Sun.